Times Music | Power Of Music – Unimaginable !! Our obsessions often serve as motivation to achieve our goals in life. But this week Junglee Home Video brings you a story of an obsession so great that it begins to erode the very fabric of life itself. Kshay, already a winner of 4 International film awards tells the story Chhaya, a simple unassuming housewife who is seemingly content in the life she shares with her husband Arvind. Until one day she catches sight of an unfinished idol of the Goddess Lakshmi and becomes besotted with owning it. Like an infection this obsession starts growing inside her and gradually, owning the idol becomes the only thing on her mind. It affects her peace, her marriage, her dreams and eventually her sanity. The film is a brilliant take on the frailty of our minds when driven by intangible desires. 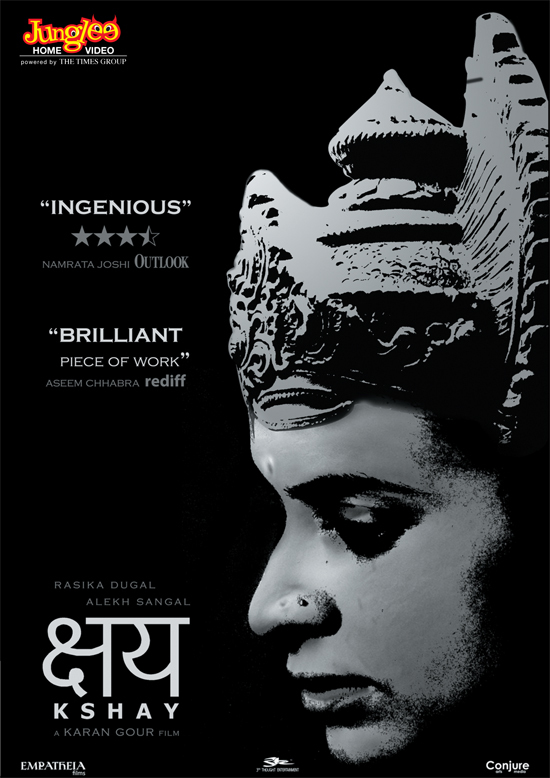 It has been dubbed as one of the best indie films India has seen in a long long time and become a benchmark for indie film-making It is now available in music and retail stores across India. You know a movie has got to be funny if its lead character is an anorexic Superman in rubber slippers. Hence when the documentary Supermen Of Malegaon released in cinemas a few months ago it raised a lot more than eyebrows with the unexpectedly rave reviews it received. 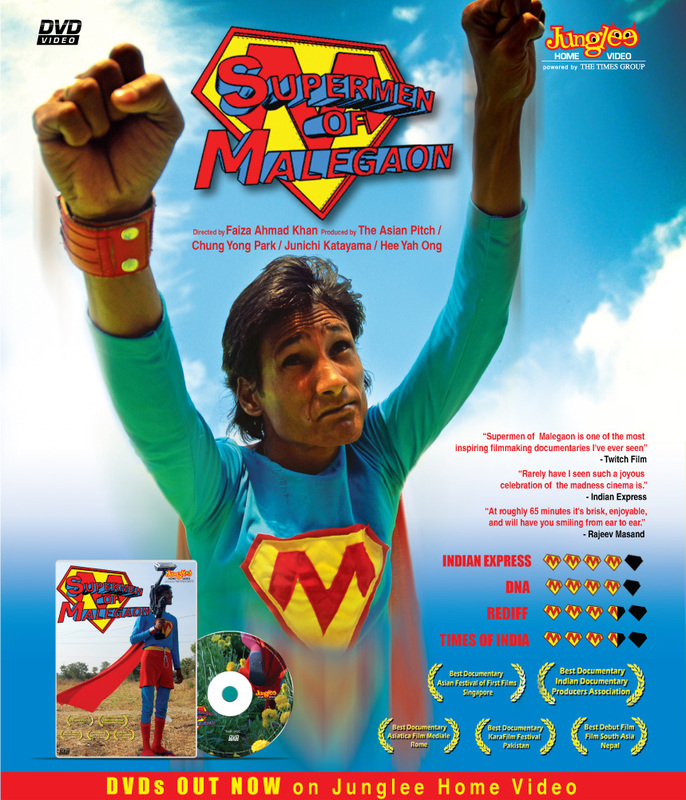 And now after bagging 14 international film awards and the Best Documentary from the Indian Documentary Producers’ Association in India, Supermen Of Malegaon is finally out on DVD. Many films in the past have told the story of small town India’s craze for Hindi cinema. But none of them come close to the eccentricity of the people of Malegaon. A small town tucked away in the heart of India, Malegaon is fraught with communal tension and under economic depression. To escape the harsh reality of their world, its people seek refuge in the fantastical world of cinema. This passion for cinema has driven a group of cinema enthusiasts to create their own films – quirky, low budget, socially aware and notoriously funny spoofs of Bollywood films. Spurred on by their success they now aspire to take on Hollywood and Superman. We follow them on this journey as the film takes shape through schemes and approaches that are sublimely ingenious, simply bizarre and purely hysterical. 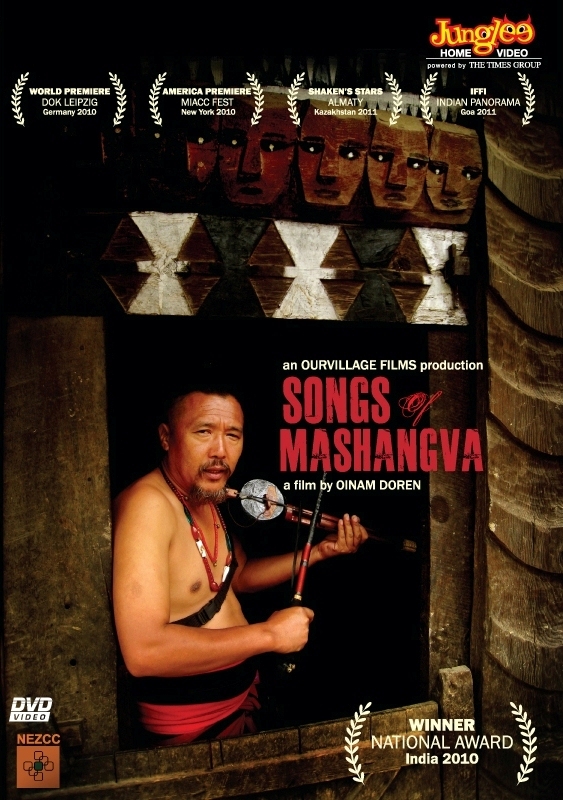 Whether a movie fan or not, this documentary will leave you in absolute awe of these extremely spirited film makers. You can pick up your copy of the DVD at a music or retail store near you. Using war as a means to achieve peace has become one of the great modern world paradoxes. 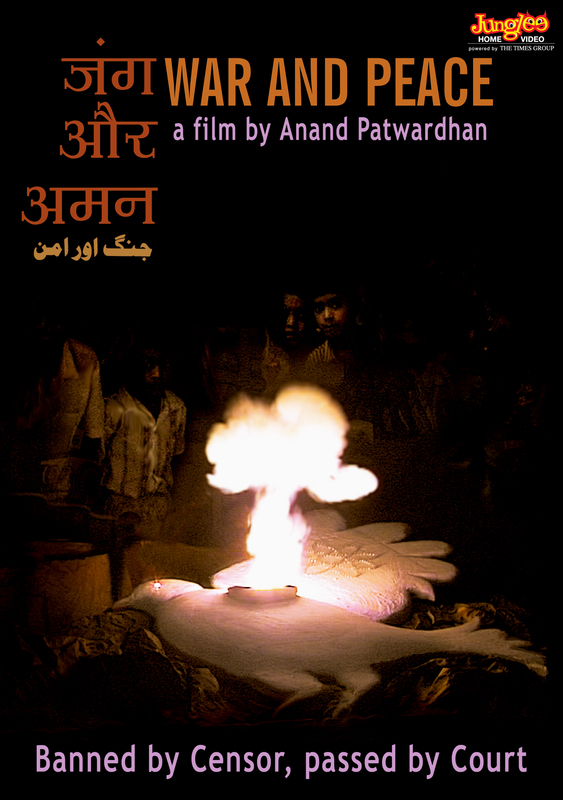 Anand Patwardhan, one of India’s finest documentary film makers presented this topic masterfully through his film ‘War & Peace’, now available on DVD. Winner of multiple international film awards including the critics award at the prestigious Sydney Film Festival, War & Peace has achieved iconic status amongst students and lovers of great cinema. Filmed across India, Pakistan, Japan & the USA, War & Peace is dramatically framed by the killing of Mahatma Gandhi. Fifty years after his death memories of Gandhi seem like a mirage that never was, created by our thirst for peace and our very distance from it. So if compelling cinema is what you are looking for this weekend, pick up your copy of War & Peace from your nearest music or retail store. Dr Surakshit Goswami talks about various asanas (postures) that help slow down the aging process. The question he answers in this set of related asanas is a simple one…Can we stop aging?? Or may be simpler…How do we age?? The solution is easy and handy, and he himself sets an example of what this Yoga can do. The attached video demonstrates two such anti-aging asanas: Nabhyasan and Sethubandanasan. However complicated the names may seem, the asanas are easy and demand JUST 15 mins from your daily routine. (2) It helps digestion, improves blood circulations and thereby helps in detoxification of the body. Caution : Avoid this asana if you suffer from hernia or pain in lower back and waist. (2) It improves digestion and helps to keep the heart lungs and thyroid glands healthy. Don’t age so quickly! Yoga is a trade off for medicines, beauty treatments etc. You can look the most attractive in even your simplest attire. Decide for yourself! Music is so often a medium to celebrate an event. But every year on June 21st, “music” becomes the event to be celebrated. 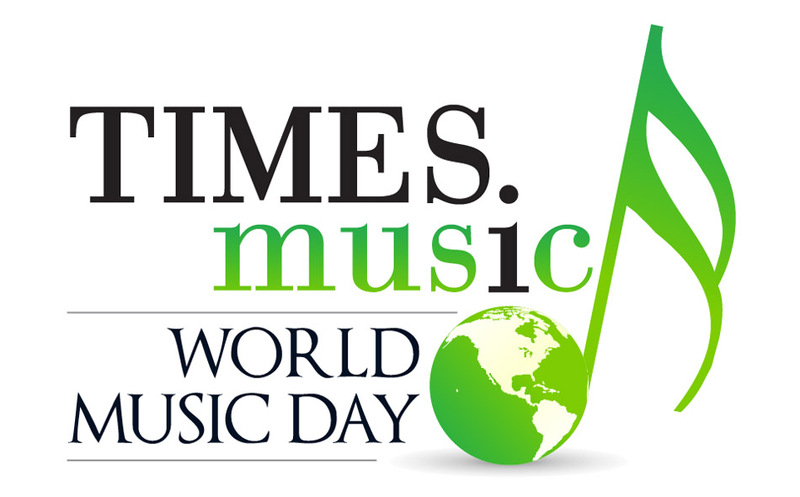 That’s because June 21st is celebrated the world over as World Music Day. Music provides us more than just mere entertainment. It wakes us up in the morning, sticks with us through the day, lifts our spirits in the evenings and sometimes even tucks us in at night. So it is only fitting that we set aside a day every year to celebrate music itself, and the myriad artists who bring it to us. 21st of June also happens to be the summer solstice, the one day in the year when the sun is at its magnificent best. How apt then, that the brightest day on the calendar is dedicated to music, the element that actually brightens up every day of our year. India has one of the richest musical heritages, something all of us should be very proud of. Last year saw the demise of some stalwarts of the Indian music industry. Pt. Bhimsen Joshi, one of the finest classical vocalists ever, Ghazal maestros Jagjit Singhji & Mehdi Hassan saab and Ustad Sultan Khan saab, the legend behind the immensely popular Piya Basanti Re! This World Music Day we’d like to pay homage to these institutions of music, and to the many others who’ve touched our lives through their musical magic. 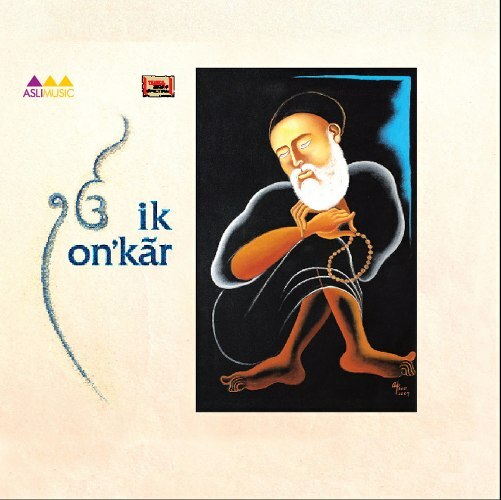 Ancient Indian mantras always lend that celestial touch to great music, a term best used to describe the music album Ik Onkar by Filmfare Award nominee Harshdeep Kaur. Produced by K J Singh & distributed exclusively by Times Music, the album features 38 renditions of the most sacred Sikh mantra composed & sung by Harshdeep herself. After winning a music reality show in 2008 Harshdeep has gone on to work with likes of A.R. Rahman and become one of India’s most promising young vocalists. Primarily a Sufi singer, Harshdeep’s first album Rubaru also with Times Music, was a runaway hit. Ik Onkar, her first spiritual album is now available across all leading music and retail stores. In the midst of the cricketing season, Junglee Home Video brings you a film as gripping as the raging cricket fever itself. 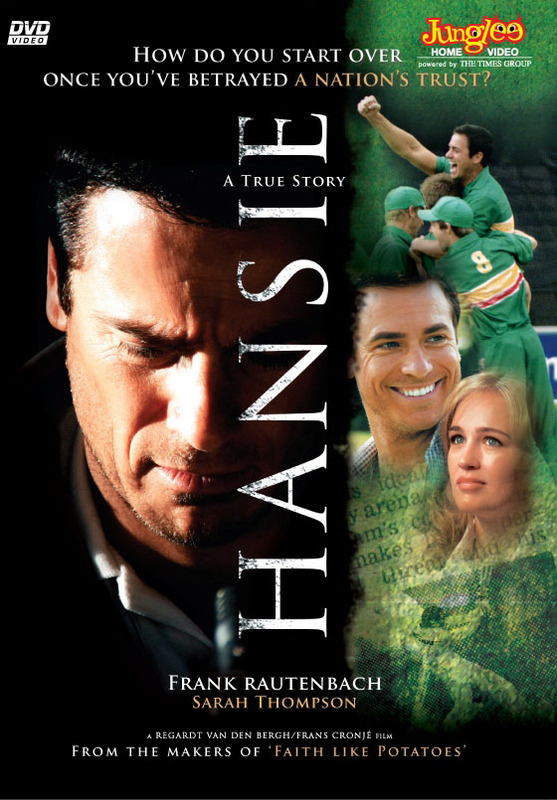 Hansie, is the untold story of the late South African cricket captain Hansie Cronje and his alleged involvement in a match fixing racket that had plagued the game in the early 2000’s. With a script interspersed with Cronje’s cricketing milestones, director Regartdt Van Den Bergh exposes not just Hansie’s, but the human frailty & weakness before temptation which all of us are capable of succumbing to. Aside from being just another cricket story, the movie shows you how to get back up once you’ve fallen. Hansie is now available at all leading music and retail stores across the country. Electronic dance music or EDM has been permeating into the Indian party scene for almost a decade now, the last two years being particularly dominant. 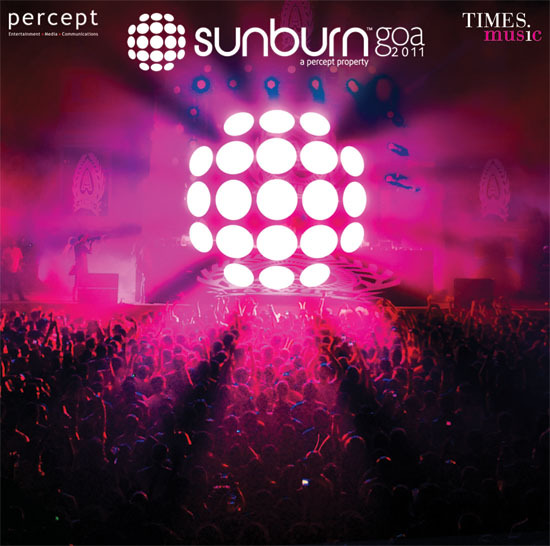 And nothing embodies this explosion in EDM better than the Sunburn Goa 2011 music album launched by Times Music. Featuring dance hits from the world’s biggest Djs including Skazi, Above & Beyond, Fergie and Infected Mushroom who have all played at Sunburn over the last couple of years, it’s the perfect cure for that massive music hangover. So if you’re ready to groove on the move, get your copy of Sunburn Goa 2011 from your nearest music or retail store now!